This trick will teach your dog to look at the ground on command. This response is fantastic for persuading an audience that your dog knows exactly what you are saying. Another trick that utilizes positive reinforcement to provide and impressive result, looking down is trained in the same way as look up to the sky. 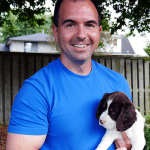 It is important to watch very carefully and reinforce even the slightest look towards the ground to build your dog’s confidence and knowledge of your requirements. Top tip; ensure that your dog does not get confused by thoroughly training this trick separately to the other tricks that teach him to look in a certain direction. 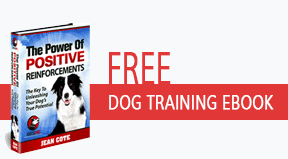 Dog trainers love this trick because it is so easy to teach using positive reinforcement and its great fun to watch a dog work out what to do for his reward.